*PLAN AHEAD!!! We had our entire schedule planned out from wake-up through bedtime before we even left for Disney. *Book all of your meals in advance. *Bring clear ponchos to put over your stroller if it rains. They are cheap and fit over single and double strollers. *Don’t bring ponchos for the kids…they are too big, just pack their raincoat. *The Hoop Dee Doo Revue is a great show/dinner for a big family trip. *Sofia the First and Doc McStuffins are going to be characters in Hollywood Studios. If you do the Hollywood and Vine breakfast they should be characters there along with Special Agent Oso, and Jake from the Neverland Pirates, and Handy Manny. *FAST PASS EVERYTHING!!! It saves you a ton of time! Fast passes are available on rides and attractions that have long wait times. You can take a fast pass ticket and it tells you when to come back and do the attractions with no wait time. 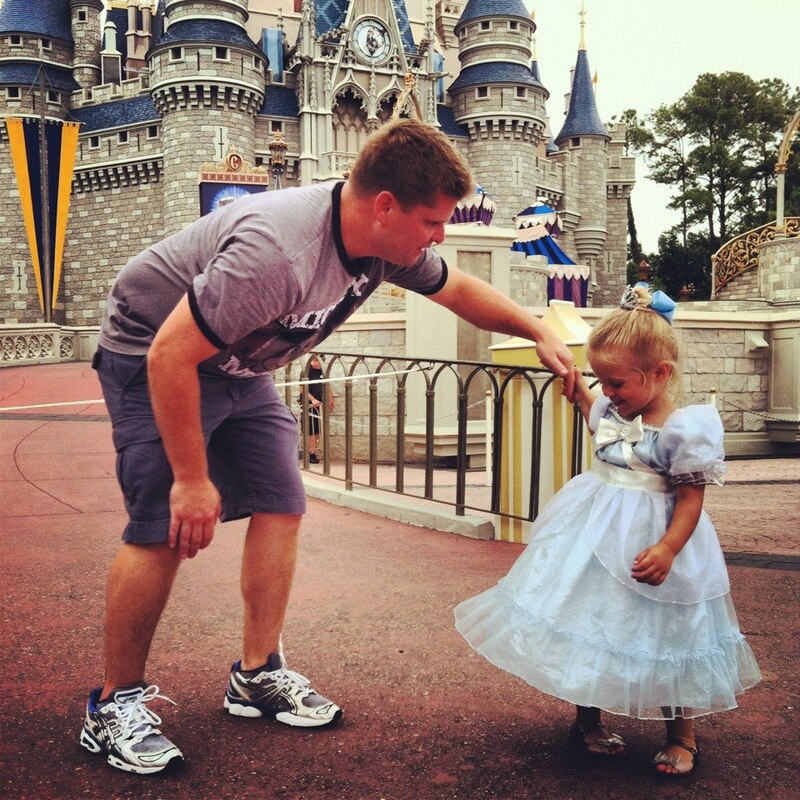 *To see the princesses (Cinderella, Sleeping Beauty, and Belle…sometimes they switch out Sleeping Beauty for Rapunzel) without doing a princess breakfast, you can fast pass the line for the Princesses in Town Square at Magic Kingdom. Right next to this is the same spot to get your picture taken with Mickey and Minnie. Fast Pass them both and get all the pictures there. It is near impossible to get pictures with any of these characters unless you do a breakfast. 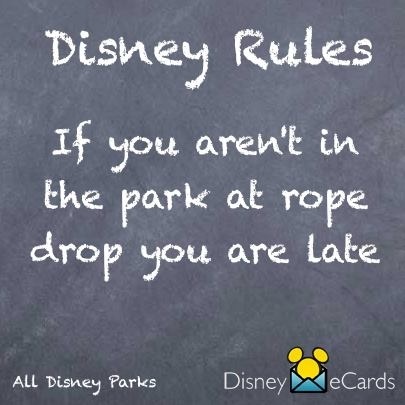 *Get to Magic Kingdom a half hour before it opens so you are there for rope drop. The characters come in on the train and fireworks go off…it is AMAZING. *Right after rope drop at the Magic Kingdom, if you hang out in town square, there are always characters. Mary Poppins was there every morning off to the right along with Snow White. Goofy and Daisy and Pluto were there most days too. *If you hang out by the Mad Tea Party ride you can find Alice in Wonderland and the White Rabbit. *The ONLY way to meet Tinker Bell is to wait on line at Tinker Bell’s Magical Nook (on the right hand side on your way to Adventure Land). 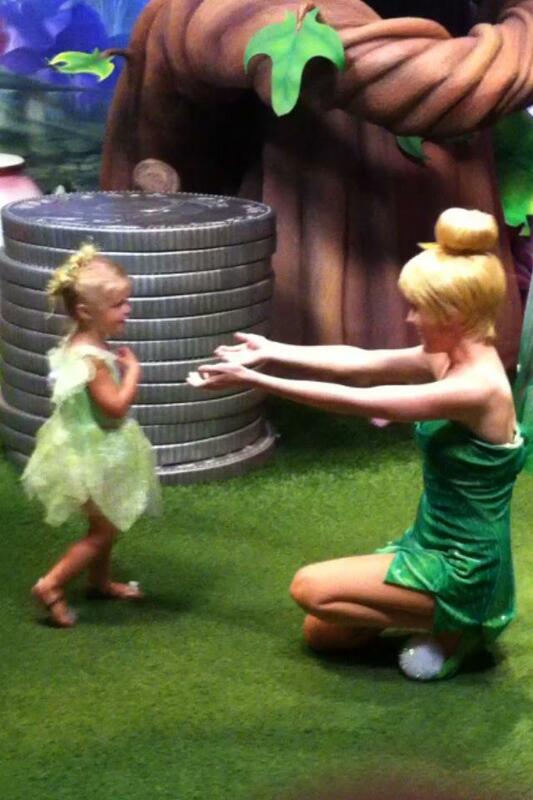 Tinker Bell is always there with another fairy. We waited over an hour, but it was worth it! *You can find Peter Pan on the bridge going into Adventure Land right after the character parade that goes down Main Street. *Make sure you see the Move It, Shake It, Celebrate It Parade in Magic Kingdom. My kids LOVED it! We went twice a day on some days! *Pre-purchase your Disney Photo Pass. This is a pass that looks like a credit card. They sell plastic things to keep it in with your park tickets on a lanyard around your neck so that you can access it easily. There are park photographers ALL OVER the place. You ask them to take your picture/family picture and they scan the card. All of the pictures go onto your Photo Pass account. When you get home you can upload your own photos to this account and make your Disney Memory Album. *Get a bright colored bandanna and tie it to your stroller. When you get out of an attraction the strollers are sometimes moved around and it makes it really easy to find yours. 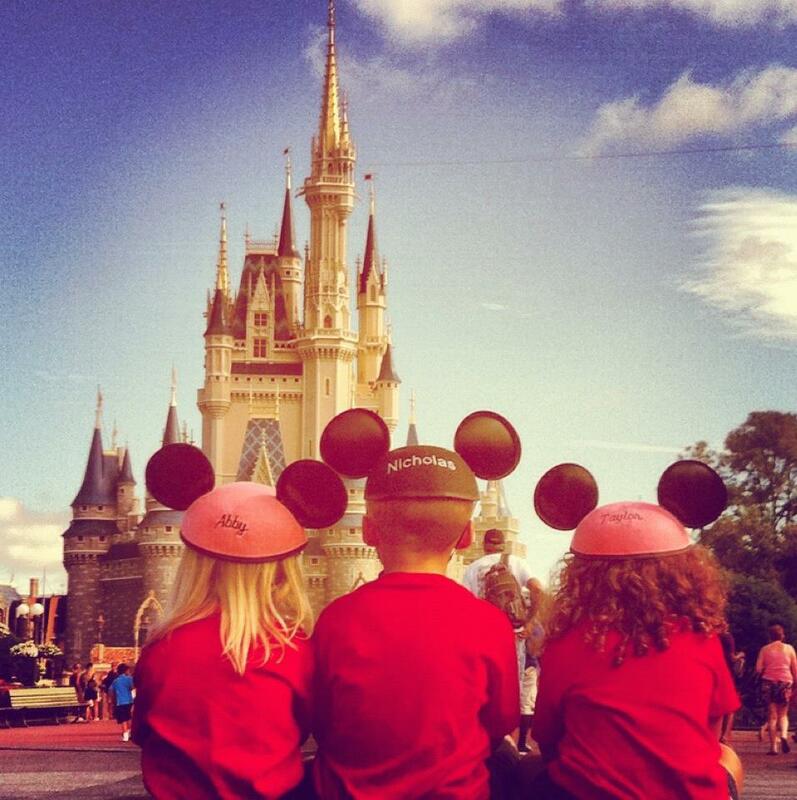 *ASK QUESTIONS…Disney employees are extremely knowledgeable and can help you navigate your day through the parks. *In Hollywood Studios, The Character Department at the Magic of Disney Animation Building is a GOLDMINE for hard to find characters at 5:00. We were able to get pictures with Pinocchio, The Queen from Snow White, Captain Hook and Smee, Mulan, Goofy, Mary Poppins, Jake, Piglet and Pooh and more! *Bring your kid’s costumes with you. 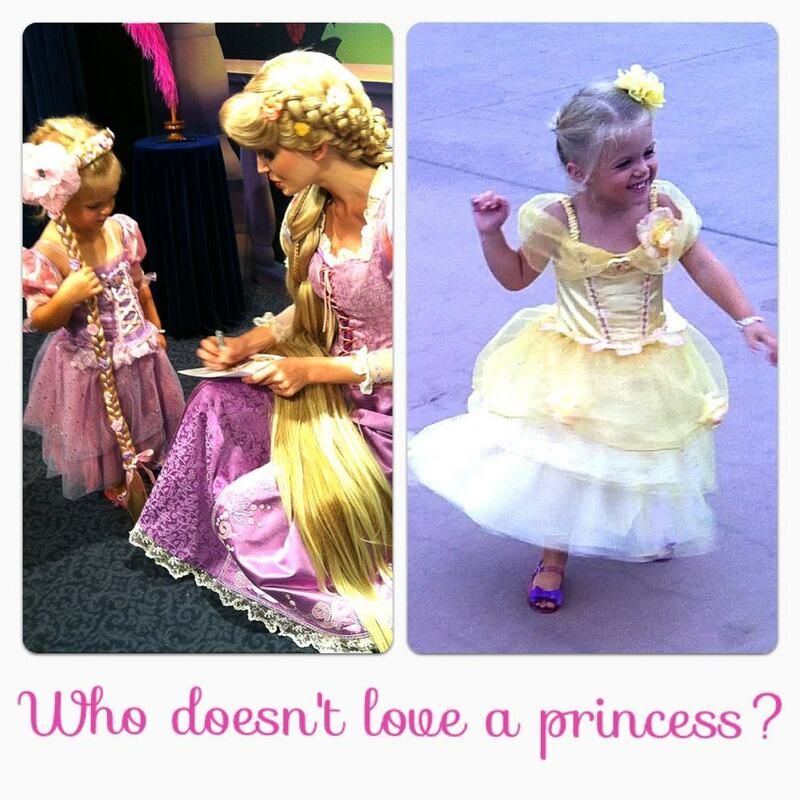 There are kids dressed up as Disney Princesses everywhere you look. My sister and I brought all of our costumes and brought certain ones to the park based on which characters we knew we would see that day. My son brought his Peter Pan costume and a pirate costume! 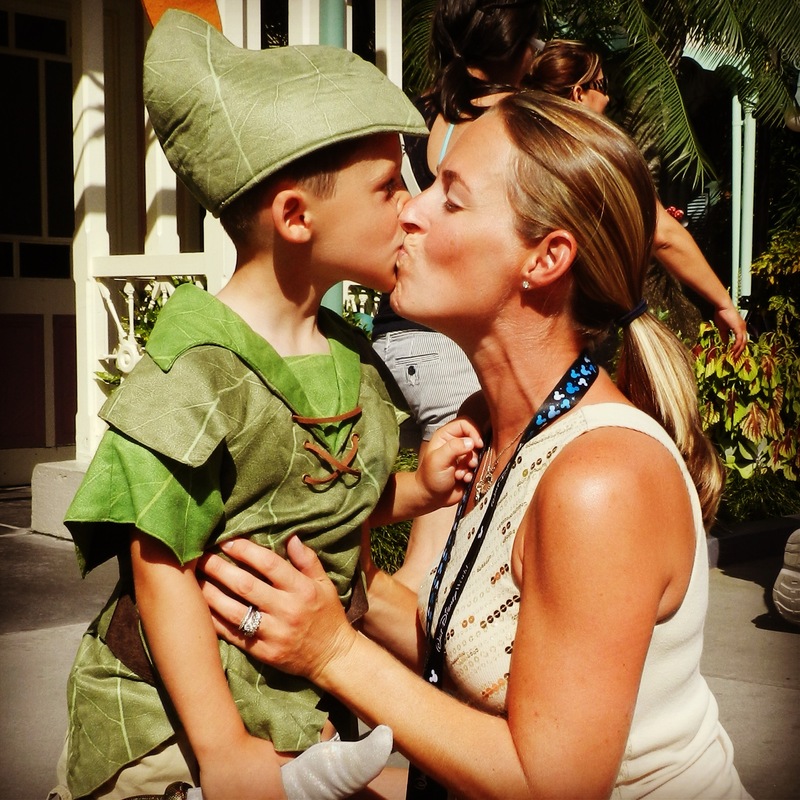 It is a lot less expensive to bring the costumes you already own than to buy them in the parks! *Bring glow-sticks, glow-wands, glow-necklaces, etc. from your local dollar store with you! The kids can use them at night at the Main Street Electric Light Parade and lots of other nighttime festivities! *Grab a park map at the entrance of each park. Not only will you save time knowing where you are going, but they list the character spots and times that they are there so that you don’t have to guess who is in each park for photos. *If there is a character that you are trying to get a picture with and can’t seem to find, go to guest relations in City Hall on Main Street in the Magic Kingdom and ask. They have a schedule of all of the characters who will be in the park for the day. *If you are staying in the Magic Kingdom for the fireworks, make sure you have a view of the top of the castle. Weather permitting…each night the fireworks are started after Tinker Bell flies out of the top of the castle. If you are staying that late, with kids…it is a MUST SEE! 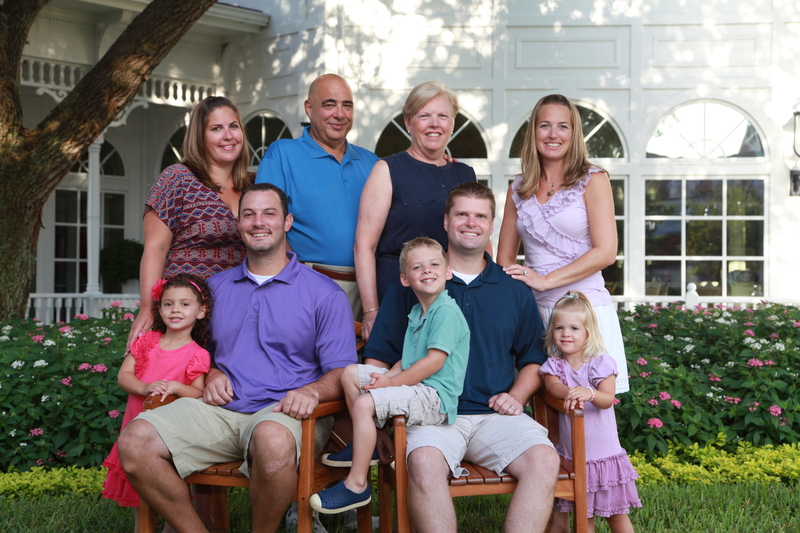 *If you are planning a family trip or reunion, you can schedule a photography session at The Grand Floridian. You are paired up with a professional photographer who will take family photos for a half hour. When you are finished you get to keep all of the photos on disc that can then be uploaded to your Disney PhotoPass account.